May 1, 2017 6:00-8:00 p.m. 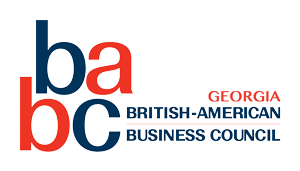 The Women's Series are joint events of the Belgian, French, Netherlands, Finnish and German American Chambers of Commerce as well as the British American Business Council. Good mentoring depends on having a collaborative, mutually rewarding learning relationship with your mentor/mentee. Whether you are just starting your career, seeking personal growth or professional development, or transitioning to new responsibilities, it is important to understand what it takes to be an effective mentoring partner and how to successfully engage in the relationship. Come and join us on Monday, May 1st. Our guest speaker, Maria Gallahue-Worl, Sr VP & Head of Sulfone Polymers at Solvay Specialty Polymers, will share her experiences as both a mentee and a mentor, and illustrate through her personal journey how mentoring can influence our life as a whole. Our speaker, Maria GALLAHUE-WORL at a Glance! ​Maria Gallahue-Worl is Sr VP – Head of Sulfone Polymers for Solvay Advanced Polymersan Alpharetta based leading global supplier of high-performance materials to industries that touch all our lives such as healthcare, aerospace, automotive and electronics. In her role, Maria manages Solvay’s global Sulfones Polymer Business which includes manufacturing sites on 2 continents, R&D activities in 4 global technical centers and commercial teams in every corner of the world (from Asia, to Europe to the Americas). Maria’s 25-year career in the polymer industry spans a range of technical roles at the beginning of her career, including manufacturing engineering, quality engineering, process engineering, as well as commercial roles in marketing and product management. She was the first female appointed to Senior Vice President – Head of Sulfone Polymers (the largest business line of Solvay Specialty Polymers) at the end of 2015. Maria is a recognized mentor, not only helping and supporting high-performing professional women and preparing them for leadership positions within their companies, but also guiding High School students interested in pursuing technical careers. She was presented with the Pathbuilders Award for 2013-2014 Outstanding Mentor. Parking for the office is located beneath Atlantic Station, on three levels. Visitors are encouraged to park in any non-reserved or visitor space.